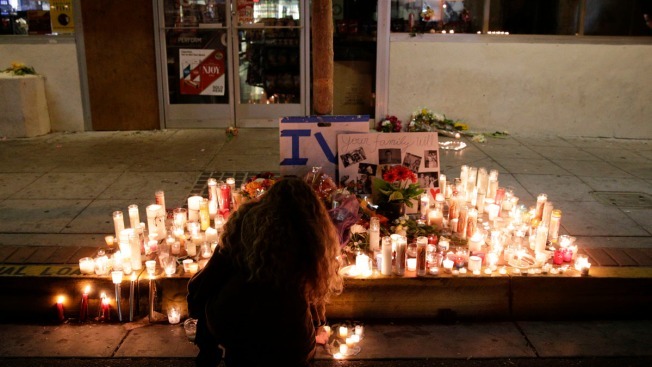 A woman places a candle in front of IV Deli Mart, where par of Friday night's mass shooting took place by a drive-by shooter, on Saturday, May 24, 2014, in the beach community of Isla Vista, Calif. Sheriff's officials say Elliot Rodger, 22, went on a rampage near the University of California, Santa Barbara, stabbing three people to death at his apartment before shooting and killing three more in a crime spree through a nearby neighborhood. The Santa Barbara County Sheriff's Department has launched an internal investigation into the actions of deputies before and during last week's rampage by a community college student who killed six UCSB students, NBC4's I-Team has learned. 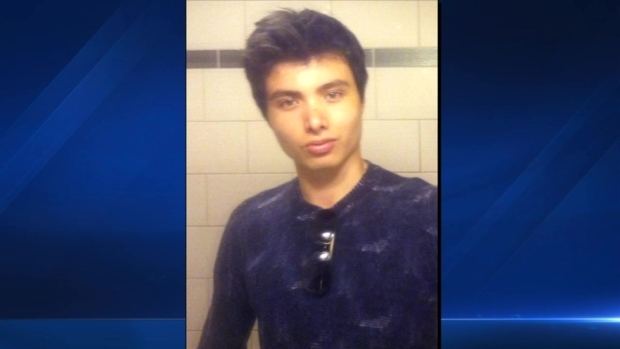 The news comes a day after the department said that deputies knew about disturbing YouTube videos posted by Elliot Rodger three weeks before the rampage, but did not watch them. In addition to looking at all angles of the department's response, the probe will also examine how authorities handled their first welfare check on April 30 of Rodger, 22. As UC Santa Barbara students returned to class for the first time since Friday's Isla Vista rampage, some found solace by talking to councilors, others by participating in a sunset "paddle out" in honor of the victims. Robert Kovacik reports from Santa Barbara for the NBC4 News at 5 and 6 p.m. on Wednesday, May 28, 2014. Six officials -- four deputies, a university police officer and a dispatcher in training -- went out on that call, officials said. Officials said they sent a bigger response because they "were familiar with Rodger" from a call in January in which he alleged his roommate stole candles from him. During that call, deputies conducted no search of his apartment and determined he was not a threat, saying they found him "to be shy, timid and polite." When questioned about reported disturbing videos he had posted online, Rodger told them he was having trouble fitting in and the videos were a way of expressing himself. We are learning more about the Isla Vista shooter’s parents and what they’re going through from a family friend. In an interview with NBC's Matt Lauer on “The Today Show", Simon Astaire reveals how Elliot Rodger’s parents are coping. Whit Johnson reports for the NBC4 News at 5 p.m. on Thursday, May 29, 2014. Typically, the department sends two deputies to a welfare check, officials said. Rodger stabbed three of his roommates, then shot and killed three others in a spree across the college town of Isla Vista before shooting himself while being pursued by deputies. Santa Barbara County sheriff's deputies said the department knew about disturbing YouTube videos posted by the Isla Vista killer three weeks before the rampage, but did not watch them until after he fatally stabbed and shot six UCSB students. Robert Kovacik reports for the NBC4 News at 11 p.m. Thursday, May 29, 2014. 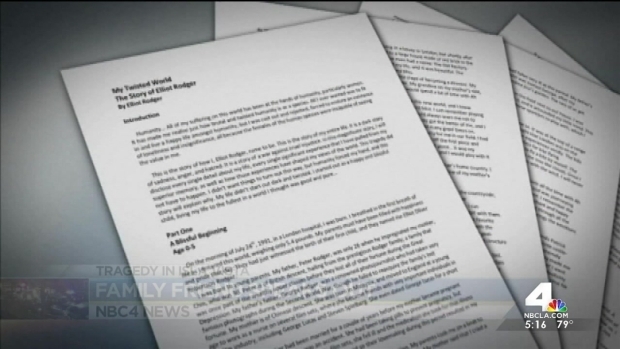 Sheriff's officials would not say why deputies did not review Rodgers' videos at the time they learned of them. The videos were the catalyst to generate the call to check on Rodgers' well being. "We have provided the information we are able to at this time," said Kelly Hoover, a department spokeswoman. This comes as the county's top law enforcement officer, Bill Brown, is running for re-election on Tuesday. 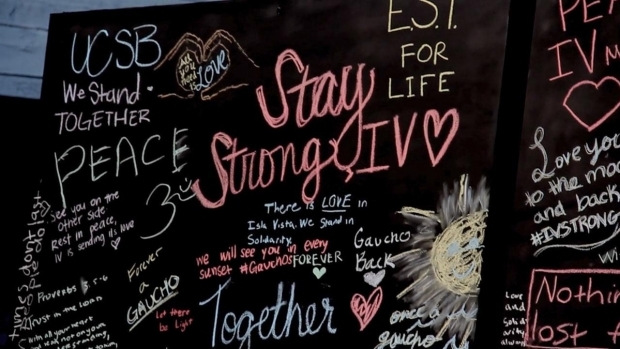 UCSB Student Film: "IV Strong"
Published in the wake of last week's Isla Vista rampage,"IV Strong" is a short film created by four UC Santa Barbara students intended to act as a way to encourage the UCSB school community and to give hope for the future.